the greenwerk. 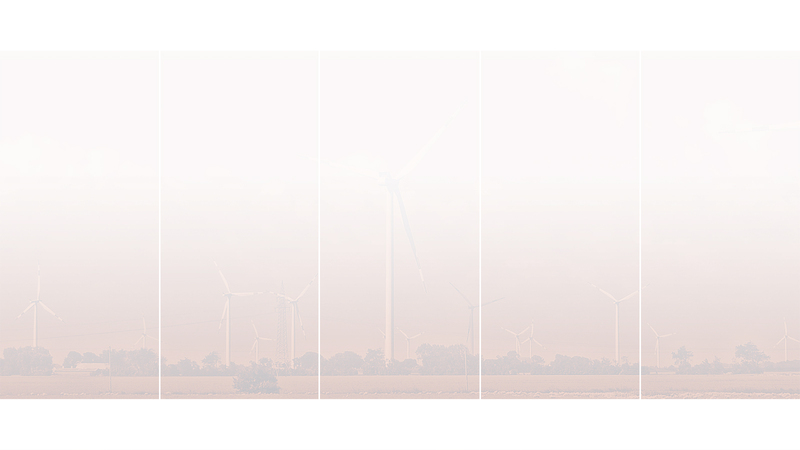 is an advisory firm for climate and sustainable energy policy. Based on our background and expertise, we offer a wide range of services to our clients in both developing and developed countries. Our work focuses on instruments and activities for promoting greenhouse gas mitigation and renewable energy, in order to foster international efforts and climate finance to combat global warming. On climate finance, the greenwerk. navigates public and private actors from developed and developing countries through different layers of the climate finance landscape. We help to operationalize results of the Paris Agreement, clarify contentious technical definitions on the UNFCCC level, assess the impact of transformational climate finance, analyse improved involvement of finance institutions such as MDBs, observe the latest GCF and Standing Committee developments and offer support for accessing various funding sources. the greenwerk. contributes to a global knowledge transfer on climate and energy policy through facilitation of capacity building missions and workshops in various countries and sectors, for numerous clients. Our focus hereby is on climate finance and GHG mitigation instruments, such as NAMAs or market based mechanisms, and their linkage with the climate policy landscape. In addition, we have authored guidance documents, online courses, newsletters and various other publications. In addition, the greenwerk. conducts research on innovative financing models for transformational changes in the energy sector and sustainable use of resources in the future. Furthermore, we offer project management services, and conduct trainings for junior experts. For mitigating anthropogenic climate change, we, at the greenwerk., strive for fair and sustainable use of global resources and access to renewable energy for all. We are committed to high quality and integrity in our work and in finding professional solutions with our international partners. the greenwerk. focuses on shaping climate and energy policies, including approaches for mitigation of greenhouse gas emissions, the design and application of international climate finance instruments such as the Green Climate Fund (GCF) and the development of low carbon policy frameworks in developing countries, in particular Nationally Appropriate Mitigation Action (NAMAs). In addition, we work on renewable energy promotion and adaptation to climate change as outlined below. What is the Paris agreement and why is climate policy so important? Tackling global greenhouse gas (GHG) emissions is an imminent need for sustaining the earth for future generations. Worldwide, national governments and corporate entities are starting to increase their efforts to mitigate GHG emissions. the greenwerk. has outstanding experience with designing, applying and analyzing promising GHG mitigation instruments. We have a clear focus on developing robust and effective policies and measures with mitigation benefits in developing countries (such as Nationally Appropriate Mitigation Actions – NAMAs and low-emission sector strategies). Over the past years, we have designed and contributed to numerous mitigation strategies and action plans in various sectors and countries. We have contributed to several NAMA guidance documents for multilateral agencies, and analysed the international policy process on enhanced mitigation efforts. Additionally, we have been working on market-based instruments, such as the Clean Development Mechanism (CDM). Here, our focus is on up-scaling mitigation activities to bundles, programmes (Programme of Activities - PoAs), and developing standardised baselines. Furthermore, we contribute to the debate on future market mechanisms under the UNFCCC (with particular focus on Article 6 of the Paris Agreement). Based on this experience, we have gained extensive expertise in particular in creating innovative measurement, reporting and verification (MRV) approaches. A sustainable use of resources is imperative for meeting today´s demands, and those of future generations. In this context, we believe that the employment of renewable energy (RE) and further deployment of energy efficiency (EE) measures plays a highly crucial role. We are therefore working on initiating and promoting the transformation of the global energy sector towards sustainable development. Together with our partners and clients, we are aiming at developing innovative approaches to promote renewable energies and energy efficiency. Under the UNFCCC and the Paris Agreement, developed countries committed themselves to provide new and additional financial resources to developing countries for addressing adaptation needs and enabling low-emission development pathways. Funding may flow through various bilateral and multilateral channels that are based on various frameworks and requirements. Among these are prominent climate funds such as the Adaptation Fund (AF) and the Green Climate Fund (GCF), which recently received resource commitments of more than 10 billion USD to foster transformational change in developing countries. So far, climate finance provided has not been limited to specific instruments; common are grants and concessional loans, commercial loans or guarantees while private entities will increasingly be enabled to make use of result-based-finance approaches. the greenwerk. navigates public and private actors from developed and developing countries through different layers of the climate finance landscape. We help to operationalize results of the Paris Agreement, clarify contentious technical definitions on the UNFCCC level, assess the impact of transformational climate finance, analyze improved involvement of finance institutions such as MDBs, observe the latest GCF and Standing Committee developments and offer support for accessing various funding sources. The longer it takes for different approaches to mitigate global warming, the more important successful adaptation activities become for both developed and developing countries. The greenwerk is particularly experienced in providing support for elaborating frameworks for adaptation planning and related measurement and evaluation (M&E), building on an innovative set of indicators that allows quantification of adaptive benefits. Furthermore, we are familiar with the assessment of economic instruments to promote adaptation activities. Our geographical location in northern Germany, as well as our local network moreover allow us to contribute to a global dialogue on urban flood protection measures. By bringing experts to Germany we share experiences in fields such as integrated flood risk management, urban flood prevention & protection, river engineering, retention areas, and water management. the greenwerk. offers a full range of services for enhancing global knowledge transfer in the fields of climate change and sustainable energy. Our work comprises advisory of public and private decision makers, fostering research in the area of climate and energy policy measures with specific emphasis on innovative financing models for securing future energy needs, facilitating capacity building activities and organisation of delegation trips to Germany. In addition, we provide project management services for project implementation and R&D activities, and conduct trainings for junior experts. Explore more details of what	we do below. From cooperatively developing policy concepts for developing countries or in-depth analysis of adaptation project impacts to tailored technical support at UNFCCC negotiations or GCF Board meetings, the greenwerk. covers a broad variety of advisory services. In all our advisory activities we reflect a fair and sustainable use of global resources and access to renewable energy for all, particularly Least Developed Countries and Small Island Developing States. We are committed to high quality and integrity in our work and in joint approaches to identify professional solutions with our international partners. Some climate policy fields lack sufficient scientific exploration that can serve as basis for practical application of mature policies or instruments, yet. This is where the greenwerk. staff´s research activities create innovative solutions fulfilling highest scientific demands through e.g. peer-reviewed publications. Further the promotion of PhD and master student activities responding to on-the-ground challenges are a core focus of the greenwerk. Through presentations at conferences, UNFCCC side events or workshops, the greenwerk. seeks to foster knowledge sharing with institutions and individual experts worldwide. Based on our experience, only an international dialogue can lay the foundation for deriving a global approach for a sustainable use of energy, as well as for tackling anthropogenic climate change. In light of this we facilitate delegation trips to Germany for bringing together global expertise. the greenwerk. contributes to a global knowledge transfer on climate and energy policy through facilitation of capacity building missions and workshops in various countries and sectors, for numerous clients. Our main focus hereby is on GHG mitigation instruments, such as NAMAs or market based mechanisms, and their linkage with the climate policy landscape. In addition, we have authored guidance documents, newsletters and various other publications. the greenwerk. offers project management services for project and R&D activities in the field of climate and energy. We combine particular experience in steering activities of multi-partner consortia for international donors, governments and private sector entities, with thematic expertise for international climate policy and sustainable energy access, amongst other fields. the greenwerk. actively conducts training of junior experts on climate and energy policy, for enabling more and more people to serve the idea of a sustainable future. Hereby the greenwerk. offers custom tailored internships, trainee programmes, research support for master thesis, freelance opportunities as well as junior employment plans. Get an overview of our clients and projects in the fields climate policy, nationally determined contributions NDC, climate finance, NAMAs, Renewable Energy Germany and the Paris agreement consulting. Our experts contributed to a study on the design and implementation (e.g. baseline, MRV, institutions) of a Fuel Security Credit Mechanism that promotes energy security and decreased fuel consumption (as employee of Perspectives GmbH). Our experts conducted CDM PoA management of a multi-country programme in the Middle East and Northern Africa (MENA) region applying renewable energies for power generation (wind, solar PV and solar CSP). Development of PoA design, PoA documentation, grid emission factor(s), support for PoA validation and registration and support for the monitoring of the PoA (on behalf of Perspectives GmbH). In another CDKN funded project on behalf of Perspectives GmbH, we developed and assessed a Climate Compatible Development framework for the agricultural sector in Bangladesh, Honduras and Kenya. Together with Fraunhofer ISI and the New Climate Institute, we have contributed to the report "How energy efficiency cuts costs for a 2 degree future" that was commissioned by Climate Works. The report focuses primarily on the US, EU, India, China, Brazil and Mexico, and found an overall and significant dollar value reduction for the costs when compared to more energy intensive decarbonization pathways. The report also addresses a number of regional policy gaps, which will be of use to policy makers (including for INDCs), and funders looking for opportunities to keep global warming to 2 degrees or less. Our experts conducted an assessment and concept development for the introduction and development of a standardized baseline for the Ethiopian national electricity grid (assessment on behalf of Perspectives GmbH). We provided the Project Management for identifying policy and technology actions needed to achieve a sustainable low-carbon future for the Egyptian cement industry, with the aim of mitigating GHG emissions from fossil fuel use and laying the foundations for further emissions reduction in line with international best practices. The result of the project is a Low-Carbon Roadmap for the Egyptian Cement Industry until 2030 (2015-2018; on behalf of South Pole Group, Switzerland). Our experts contributed to enhancing risk management partnerships for catastrophic natural disasters in Europe. This included the assessment of economic instruments like insurances, taxes, market based mechanisms, and risk sharing that promote adaptation within the EU (on behalf of Perspectives GmbH). Jointly with Germanwatch and New Climate Institute, the greenwerk. elaborated 2°C-compatible investment criteria for international finance institutions. Hereby, we focused on assessing investment criteria for climate resilience and adaptation. Our experts contribute to the assessment of international climate finance pledges to reach the USD 100 billion goal for the BMUB. Our experts furthermore led an international research consortium for assessing the Joint Crediting Mechanism and consulting the BMUB on if and how to integrate the JCM in a future climate policy framework (both on behalf of Perspectives GmbH). Also, we contributed to: Strategies for carbon market development in African Least Developed Countries (LDC) - Development of practical approaches and strategies for increased participation in the carbon markets, by investigating requirements and demands on institutional structures, processes for data collection and practical application of standardized approaches, e.g. standardized baselines (SBLs), Focus country Ethiopia; Development of a tool to calculate the impact of private and public allocation parameters on international climate finance contributions; Analysis of the international climate finance architecture, assessment of institutional GCF/GEF/AF frameworks and development of policy recommendations; Studies on the practicability of the CDM to transition towards future climate policy instruments. For GIZ we provide ad-hoc consultancy services on aspects related to international climate finance instruments, allocation methodologies and carbon pricing mechanisms. Also, we developed a methodology for quantifying indirect climate effects under the GIZ energy portfolio and advise GIZ on further applying this approach. We contributed to the capacity building for the Moroccan finance sector (4C) regarding the suitability of establishing a domestic climate fund. Furthermore, we have organised delegation trips on urban climate policy to Hamburg, Germany, for Chinese delegates from Jiangsu province in 2015 and 2016. Also, we acted as Expert/Facilitator at the Anglophone African Regional Workshop on “Converting INDCs into action: the role of NAMAs in INDC implementation” of the International Partnership for Mitigation and MRV and were responsible for preparing and facilitating the energy working group of the workshop. On behalf of Perspectives GmbH, we served as project coordinator for drafting the NAMA proposal documents for the "Sustainable Urban Transport" NAMA in Peru for the submission to the NAMA Facility and other funding sources. In addition, we contributed to the development of further NAMA concepts and co-authored the GIZ “Carbon Mitigation Highlights” Newsletter. Our experts contributed to the development of a vulnerability assessment, climate impact monitoring and adaptation options for two micro financing institutions in the context of the IDB-funded ECOMICRO project (on behalf of Perspectives GmbH). Our experts contributed to the development of 2 versions of IRENA´s handbook for renewable energy NAMAs (on behalf of Perspectives GmbH). Our experts contributed to the first and second phase of support programme for Coordinating and Managing Entities (CMEs) of PoAs for improved performance and reduced risks through the provision of assistance services, including tailored advice on-site and the development of a web based information and assistance platform for Programme of Activities (PoA Platform) providing consolidated information and active assistance to PoAs and their stakeholders (e.g. CME / monitoring staff / CPA managers); Project management for proving assistance on management and operational procedures to an Improved Cook Stoves PoA in Uganda (On behalf of Perspectives GmbH). the greenwerk supported RENAC in devising an online course on accessing climate finance options for green banking in South East Asia, as well as the revision of an online course on climate finance, and the facilitation of a workshop on climate finance and green banking. We support the Government of the Republic of Seychelles in obtaining climate finance for fostering the enabling environment for the SeyRES 100 strategy. This inter alia entails the preparation of a NAMA Support Project Outline for the "NAMA on 100% renewable power supply by 2035 for the Seychelles" (with the objective to provide the Government of the Seychelles the necessary NAMA documents to apply for funds under the NAMA Facility (4th Call) to complete the development (DPP) and to begin the implementation of the NAMA for 100% RE in the Seychelles) as well as the development of a GCF SAP proposal. Our experts supported the development of a detailed NAMA concept for the solid-waste sector in Peru, especially on baseline and marginal abatement cost curves (MACC) (on behalf of Perspectives GmbH). For the Swiss Agency for Development and Cooperation (SDC), the greenwerk. assessed environmental and social safeguards of Multilateral Development and Investment Banks. On behalf of Perspectives GmbH our experts provided technical support for the GCF and AF Board and contributed to the advancement of an innovative adaptation indicator concept and upgrade of existing recipient institutions for GCF accreditation. the greenwerk conducted a a study on the relations of CORSIA and the market mechanisms under Article 6. We also facilitated a UBA workshop on the role of the CORSIA in the light of the Paris Agreement and Article 6. We furthermore conducted a study on how to enhance the role of co-benefits in market mechanisms under a post-2020 agreement. This project strives to identify barriers for co-benefits and develop a guidance document for optimal integration of co-benefits. Staff of the greenwerk. has moreover contributed to numerous studies on market based instruments under the UNFCCC for UBA over the past years. Our experts contributed to the development of MRV system proposals for corporate NAMAs in Chile and Mexico, and support in participating businesses in adopting and implementing these MRV systems in their specific value chains. Furthermore we were engaged in promoting Low Carbon Investment in Sudan through methodological support for development of a LEDS strategy and the suitable NAMA framework. Also, we were engaged in CDM PoA Feasibility Assessment for energy efficient lighting in El Salvador. We were involved in the development of a comprehensive NAMA guidebook for the UNDP LECB programme and UNFCCC, with focus on financing and MRV of NAMAs (all on behalf of Perspectives GmbH). On behalf of Perspectives GmbH, we conducted a CDM Feasibility Study to map typical metropolitan areas in South Korea and UEA cities, assessment of priority sectors for emission reductions in urban context, existing methodologies and projects/PoAs with urban context, analysis of potential and opportunities for urban CDM. the greenwerk supported UN ESCAP in organising and facilitating workshops on green banking in Sri Lanka, Pakistan and the Philippines, which brought together key stakeholders from the financial sector. Our experts contributed to two climate finance training workshops on "CDM project finance and additionality assessment" for UNFCCC staff (on behalf of Perspectives GmbH). Our experts provided the project management for a CDM gas flaring project in the Middle East including PDD development, grid emission factor calculation, validation and registration support; In addition, we were involved in developing an initial NAMA concept paper and NAMA guidance document on energy efficiency measures for the Macedonian public building sector, including Recommendation Paper for policy makers (on behalf of Perspectives GmbH). KfW Bankengruppe, on behalf of the German Federal Ministry for the Environment, Nature Conservation and Nuclear Safety (BMU), contribution (2010): PoA Blueprint Book - Guidebook for PoA coordinators under CDM/JI, 2. Revised Edition. Phone: +49 40 88933893 eMail: info@thegreenwerk.net https://www.thegreenwerk.net t.b.d.